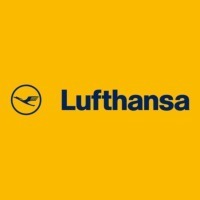 Deutsche Lufthansa AG is a worldwide operating aviation company. The Group's business is divided into five business segments, each of which has a leading role in its industry. The strategic business segments Passenger Airline Group and Logistics transported 98.9 million passengers and 2 million tonnes of freight and post in 2010. As service providers for key factors of production the three business segments MRO, IT Services and Catering strengthen the Passenger Airline Group and Logistics segments. In addition, they also work increasingly for external companies. Altogether, the Lufthansa Group includes over 400 subsidiaries and associated companies. In 2010, the Lufthansa Group had an average of 117,066 employees and generated a revenue of EUR 27.3bn and an operating result of EUR 876m. The dividend payments have bee sketchy to say the least.